Bikers Against Child Abuse International (BACA) exists with the intent to create a safer environment for abused children. In the video below, Crime Watch Daily hits the road and meets the BACA crew in Los Angeles as they work with a new member named Mika. BACA members truly go above and beyond in order to make children more comfortable and supported as they deal with the terrible cards with which they’ve been dealt — which often includes sexual and physical abuse. They’ll do everything from picking kids up from the bus to escorting them to and from school or therapy sessions. The children have these rough-and-tumble men playing with Barbies and painting butterflies on their faces. But what strikes me most is the fact they’ll even attend courtroom cases in which child victims must testify against their abusers. Looking out into the seats and seeing them filled with their strong and powerful leather-clad friends can make a frightened and intimidated child feel much more secure. “The kid looks at us, concentrates on us knows we’re there for them.” Wow. This is absolutely remarkable. Never judge a book by its cover. Please SHARE this awesome video with your friends on Facebook! Remember I taught my sister how to loom knit hats? Well here are her creations? 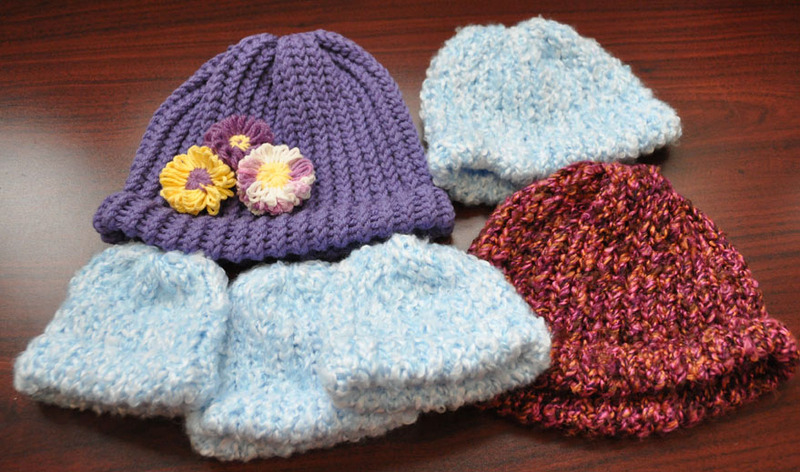 She made and donated 4 NICU hats (the blue/white variegated yarn) and 2 children hats. The purple one is triple e-wrapped and pretty warm, but is very pretty adorned with 3 flowers that Leticia created for us in advance. Natree, my sister, has recently learned how to purl and will begin doing the garter stitch for brims. I think my plan next is to show her how to change colors, just in case she wants to add a stripe on one of her hats. My sister also knows of a little baby boy, in Oklahoma who has been severely abused and burnt. He has been admitted to the NICU and may require surgery. 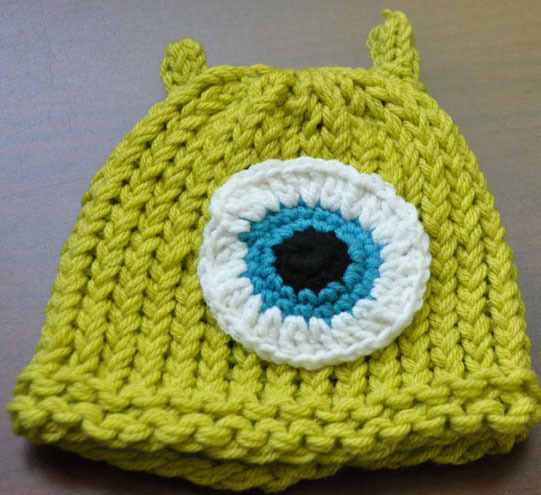 So she made 2 hats (though I forgot to get a photo) and I made this baby sized Mike hat, so she can send to her friend for this little boy. We pray he heals quickly and will be protected!